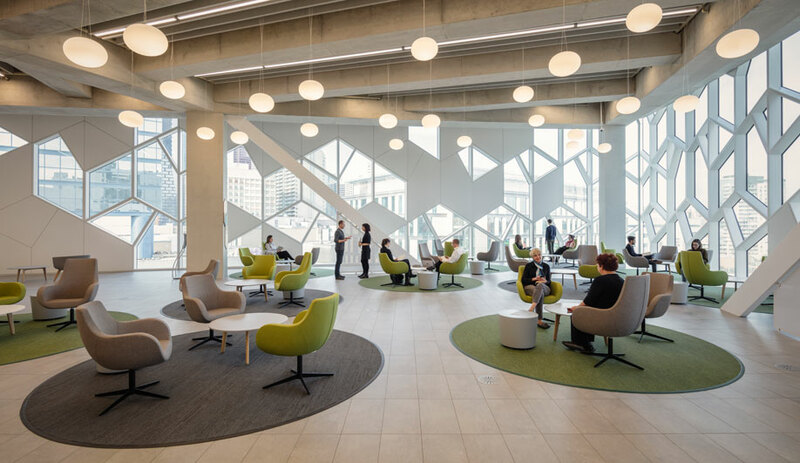 Calgary’s dazzling new urban hub reaffirms the worth of the modern Library. 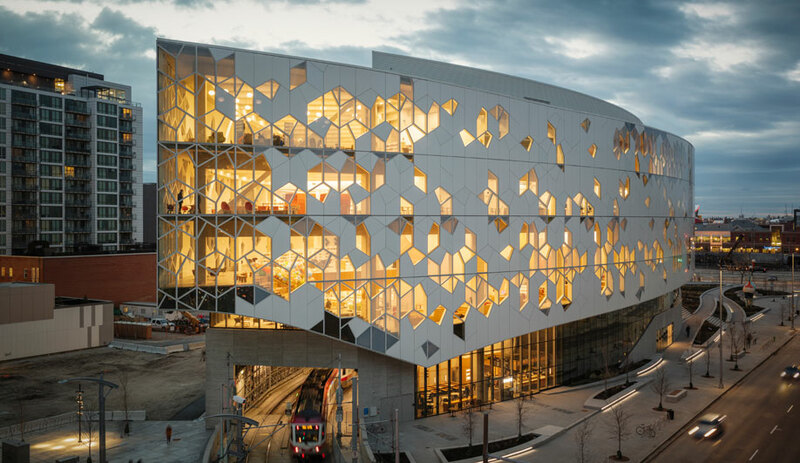 Patterned with hexagons, the library’s facade is made from 485 unique panels that reference the idea of community: many pieces contributing to a whole. As a whole, the library serves that same goal, in a practical sense, very well. 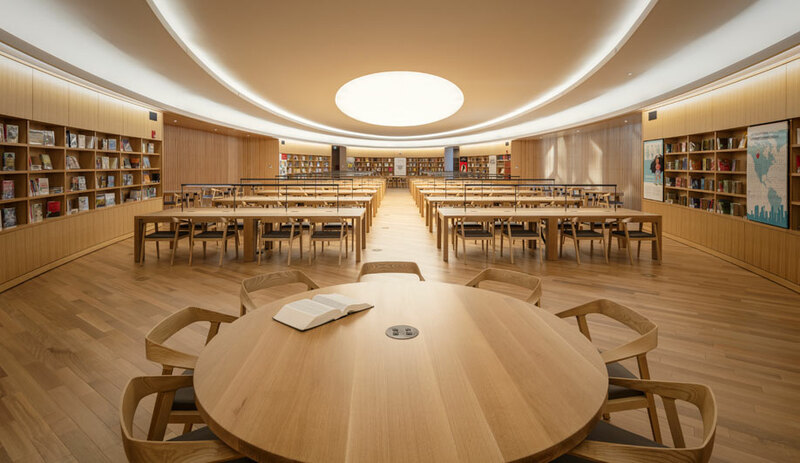 The 22,297-square-metre building provides a range of spaces, from a 232-square-metre indoor playground on a lower level to a dignified, oak-panelled reading room at the top. 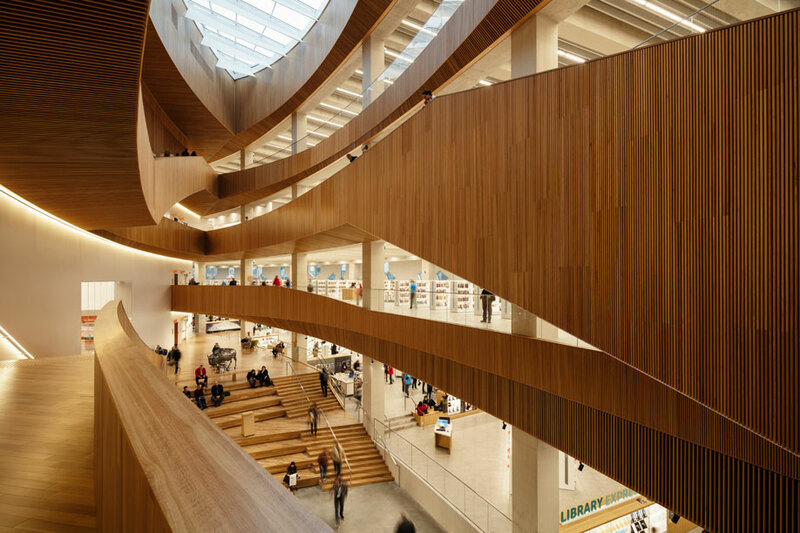 Lined in wooden slats, the atrium serves as an orientation device, guiding visitors through a building that has 30 meeting spaces, a café, a huge children’s area and a 350-seat performance hall. Collections and programs are geared to various users, from small children – Calgary’s population of 1.2 million includes about 90,000 kids under five – to those interested in local history and genealogy. 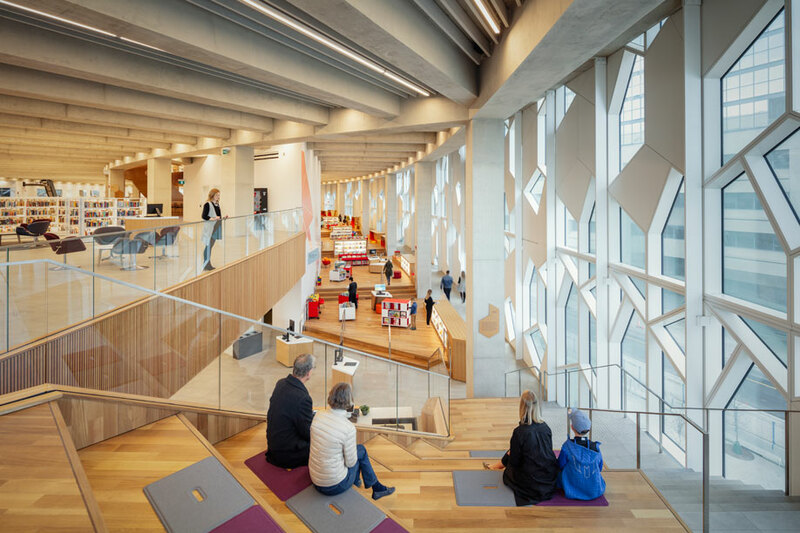 Snøhetta’s scheme provides spaces for these visitors in a loose spiral around the atrium, with more public and active uses at the bottom and research-oriented ones up top. “It’s a progression from fun to serious,” Dykers explains. The library also succeeds as a symbol. 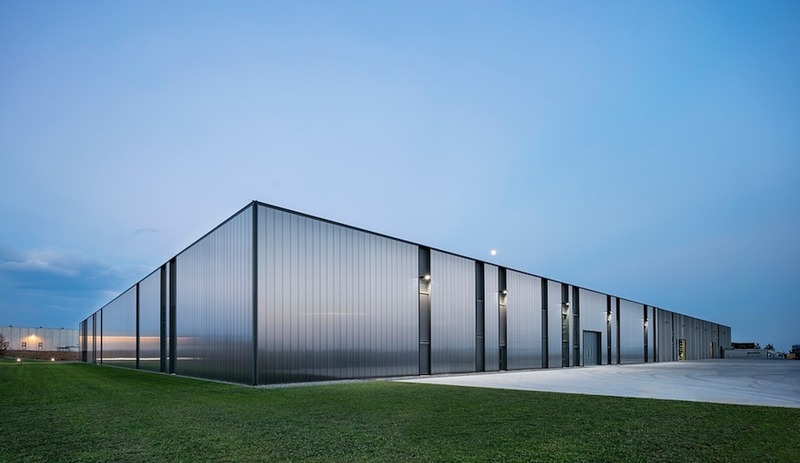 The hexagonal-grid curtain wall offers a memorable visual language; the great curved mass of the building, which evokes a ship in dry-dock, implies movement and a creative spirit. The fact that an LRT line passes right through the building only adds to its sense of urbane complexity. It is an icon. And Calgary needs one: This is a metropolis whose built form is largely nondescript and whose public realm is steadily improving but still underdeveloped. 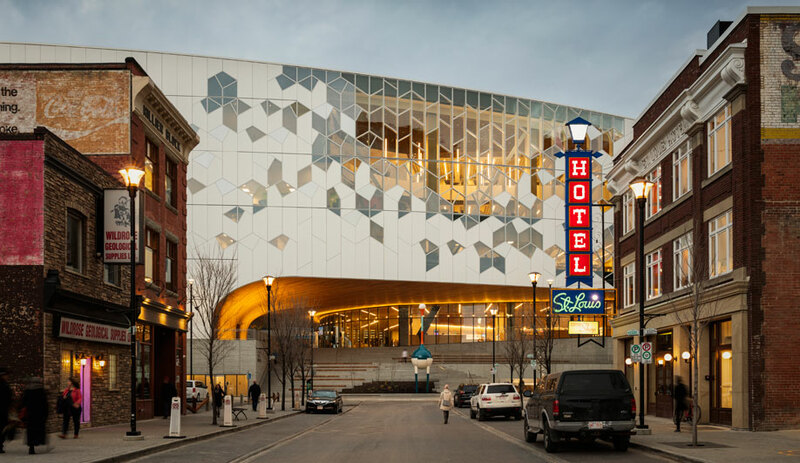 Snøhetta’s design – along with the library’s ambitious set of public programs – makes an argument for the importance of public places. 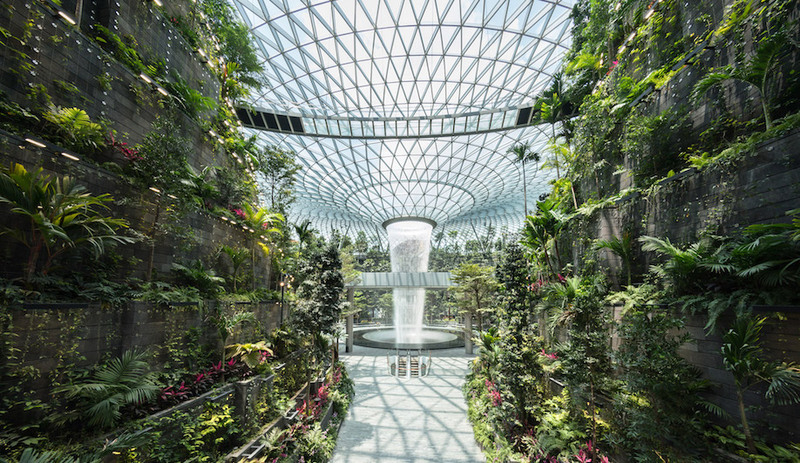 “A library of the future is the same as the library of the past,” Dykers says. 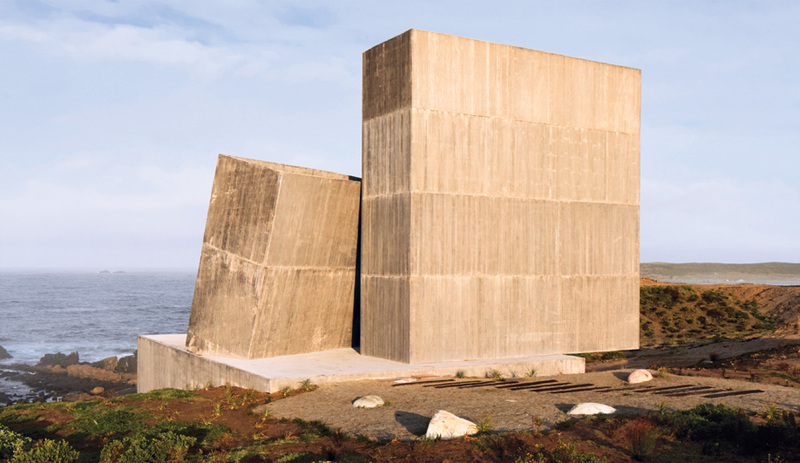 “Even if they hold artifacts of the past, you use them to open a door to the future.” In this case, that door opens to a city with stronger communal spirit – intellectually curious and ready to come together.